Shazam! maintains box office dominance into its second weekend. The David Sandberg–directed DC film will keep its number one box office spot despite Hellboy debuting in the domestic market. 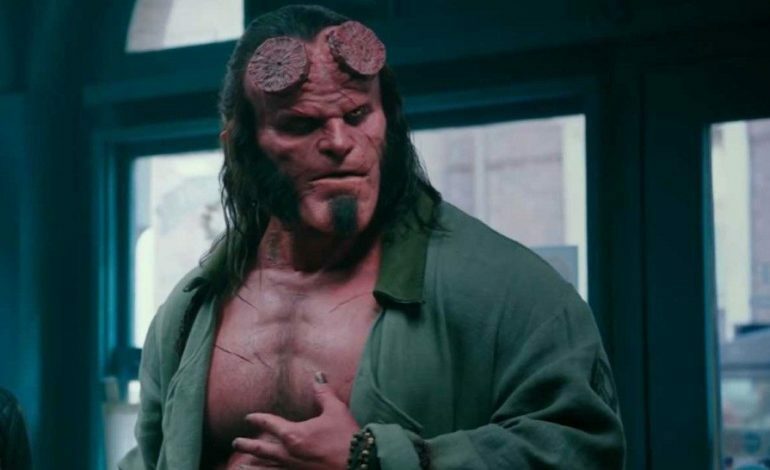 According to The Hollywood Reporter, Hellboy will likely fall short of achieving its projected $16 – $21 million opening weekend. The demonic comic book reboot debuted to $4.9 million and is currently projected to close its opening behind Shazam! and Little – attracting only $12 to $13 million in the box office. Shazam! is projected to keep its momentum and add to its $56 million opening with a $23 million follow-up weekend. Hellboy reboots the legendary half-demon with Stranger Things star, David Harbour, as the title antihero. Directed by Neil Marshall, the R-rated action film follows Hellboy as he reluctantly saves humanity from raging giants and the malicious Blood Queen, Nimue (Milla Jovovich). Since its debut, Hellboy has struggled to get any warmth from critics and fans. The film’s brutal R-rated scenes, stiff box office competition, and plunging reception among audiences have likely doomed the Hellboy reboot from grossing anything much higher than its $50 million production costs. Award-winning filmmaker, Guillermo del Toro, who directed the two original Hellboy films in 2004 and 2008, was not involved in the modern iteration of the project.